It appears that in the coming weeks we may see a significant flurry of legislative activity in Lansing related to education. We encourage our members to be informed and to make your opinions known to your Senators and Representatives. Livonia PTSA Council co-sponsored a recent parent forum with the Farmington and Walled Lake PTA Councils where school funding was discussed. Below are the slides from the presentation, a video of the forum, and a link to an article about the forum. Senate Bill 620 was passed by the Senate in June and is currently awaiting hearings in the House Education Committee. Commonly known as a “parent trigger” law, this bill would allow the creation of what are being called conversion charter schools. If a school is in the bottom 5% of the Persistently Low-Achieving (PLA) list, this bill would allow for it to be taken over by a vote of 60% of eligible parents/legal guardians of that school OR a vote of 51% of the parents and 60% of the teachers. Should the vote pass, parents would be allowed to shut down the school, convert it to a charter school, or force the district to replace the principal and up to half of the staff. The parents could contract with an Education Management Organization (EMO) to operate the charter school, and the district would be forced to lease the building to the charter school for $1 per year. Both the Michigan Education Association and the Michigan Association of School Boards oppose this legislation. 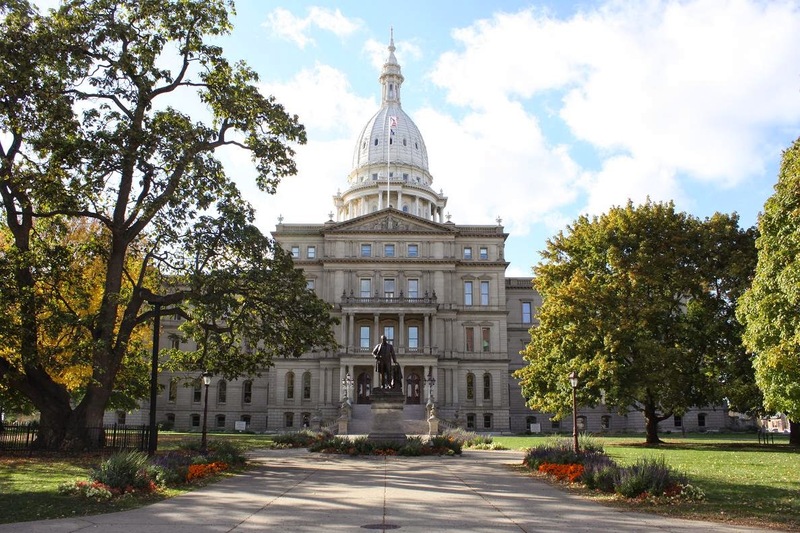 The prevailing wisdom in Lansing is that it is unlikely to gain much support for a number of reasons. First, lawmakers are concerned about using the PLA list as the determinant of eligibility for the parent take-over since the PLA list features only Title I schools. Secondly, there is concern about opening up the state to significant legal challenges by allowing public property to be seized, possibly against the will of taxpayers as a whole. Finally, there is the question of voter fraud – which parents/legal guardians will be allowed to vote? Do they have to be taxpayers, or registered voters? Could a child’s parent who lives out of state vote for the takeover? These issues were raised by lawmakers in the first hearing on the bill, and their concerns would have to be addressed through a revision of the bill for it to have a realistic chance of moving forward. One of the most vocal advocates for parent trigger legislation is Michelle Rhee of StudentsFirst. She claims that parent trigger laws help students who are trapped in struggling schools. “It’s a law families can rely on to bring about change when their children are trapped in a school that isn’t meeting their kids’ needs. (…) We can’t expect parents and kids to be patient while slow-moving reforms take root.” Critics of the law argue that Michigan already has plans in place to help struggling schools, including new options put in place via the waiver from No Child Left Behind requirements that the Department of Education issued to Michigan in July. Michigan PTA’s Advocacy Committee is formulating a response to this legislation and would appreciate our members’ thoughts and input. If you would like to share your impressions of these laws or your feelings on their usefulness in Michigan, please contact President Elect Teresa Marhofer at presidentelect@michiganpta.org no later than close of business on Monday. Given the urgency of this matter and the speed with which our Legislature moves, time is of the essence.